Rising star NAM Joo-hyuk appears set to take on his first leading man role in a feature film, after signing on to star in KIM Jong-kwan’s upcoming remake of the 2003 Japanese drama Josee, the Tiger and the Fish (the Korean working title has been shortened to Josee). NAM’s agency confirmed the casting news to the Korean press. The story of the original film, directed by INUDO Isshin and itself based on TANABE Seiko’s 1985 novel of the same name, follows a university student who becomes interested in a young girl who calls herself Josee. Josee is unable to walk and is pushed around in a baby cart by her grandmother. 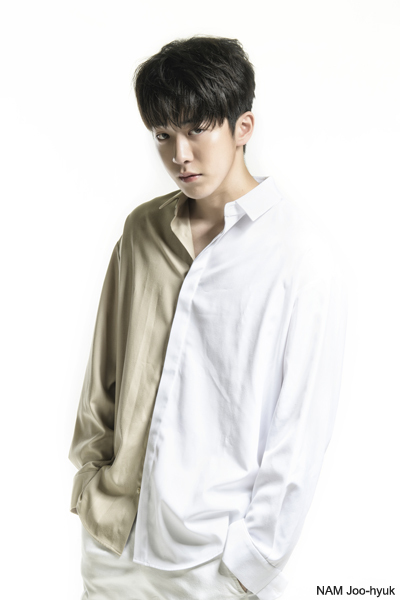 The 25-year-old NAM is well known as a model and small screen actor and took on his first feature film role in last year’s hit period action drama The Great Battle, the top selling release of the Chuseok holidays. He is also preparing to go before cameras alongside JUNG Yu-mi in the upcoming Netflix Original series Nurse Teacher An Eun-Young (translated title). Director KIM is known for several low-budget indie dramas, such as the critically acclaimed Worst Woman (2016) and The Table (2017), but Josee would be his first commercial-level feature. KIM also recently completed production on Shades of the Heart, one of the Jeonju Cinema Projects scheduled to bow at the Jeonju International Film Festival early next month.